With the snow melted, and, the break in the temps, I've been able to get out in the garage. I've been rummaging through my stash of wood, and, decided to make a few things. I've been cutting all day. 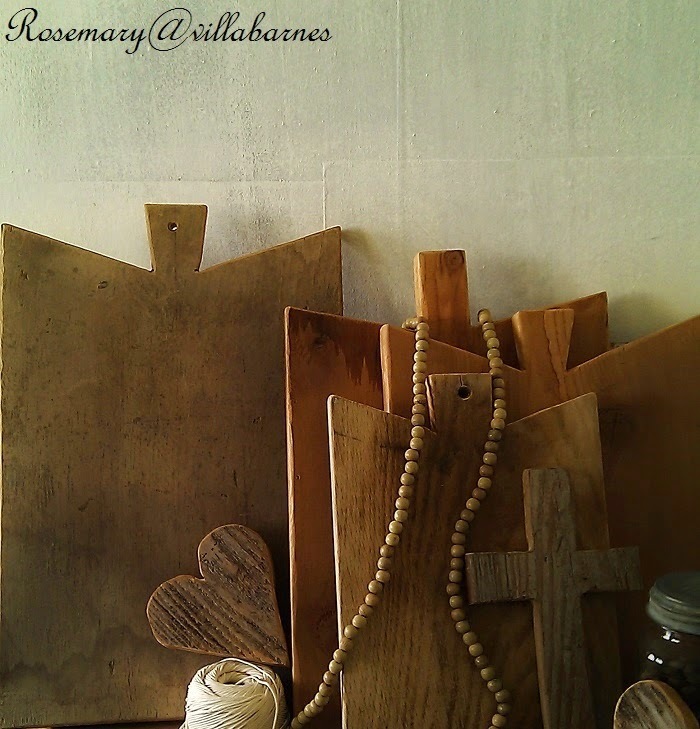 Piles of wood turning into breadboards, hearts, crosses, etc. I just did a freehand sketch, and, whipped out the power tools. 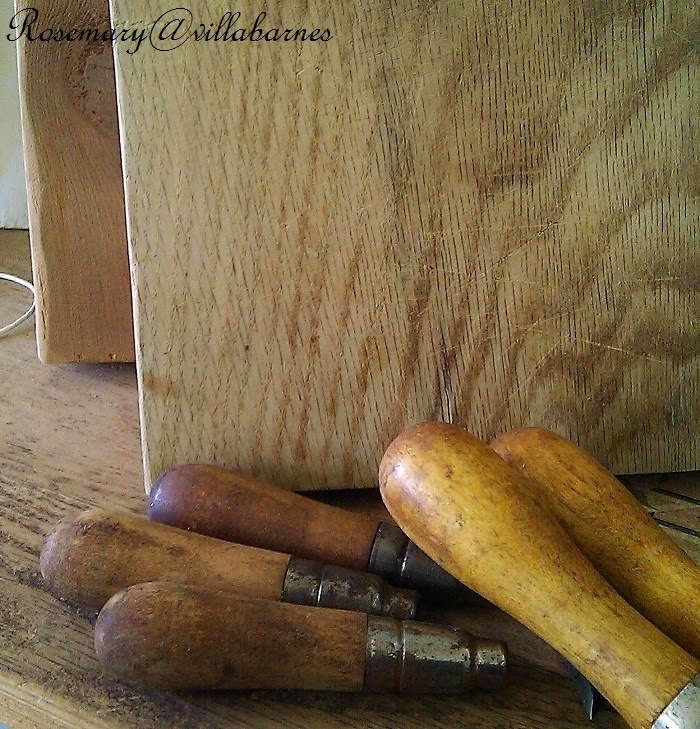 I have ideas for more designs, which will include these old wood handles. Always awesome to see what you come up with. I'd love to see some bread boards with longer handles too. So glad there's a break in the winter weather - my word it was a long one. You constantly amaze me! I told hubby I am going to learn to use his table saw, mitre saw, scroll saw, drill press etc. etc. Our shop is full of woodworking tools...even a planer. I have used some of them ,but usually have the hubs do it for me. Family ties to cabinet building etc. Can't wait for it to stay warm. Hopefully I still have the energy by then. Haha!! The reuse of woods into breadboards with all their unique grains and age is so comforting visually. I will be checking etsy for them. Glad your weather is improving we thought in Philadelphia with the warmer temps of last week Spring had sprung... But snow is arriving on Thursday into Friday! These are so rustic and wonderful, I envy your skill. 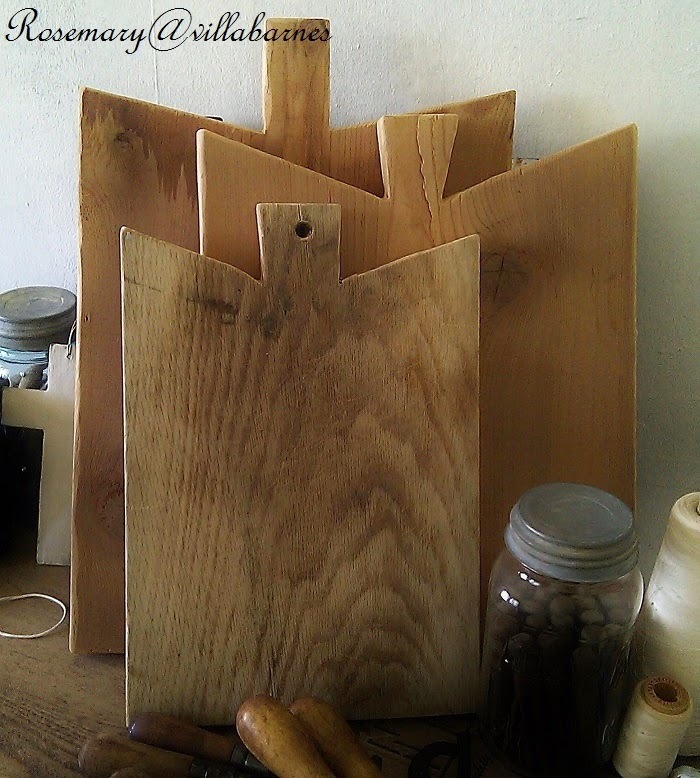 What a clever idea to create your own rustic breadboards. Looking forward to seeing what you do with those handles. Thanks Rosemary for sharing at Vintage Inspiration Party. Wow!!! I'm loving those breadboards, you always amaze me Rosemary. I always love to stop by your blog. Your pictures are always great and you are one of the hardest working people I know! 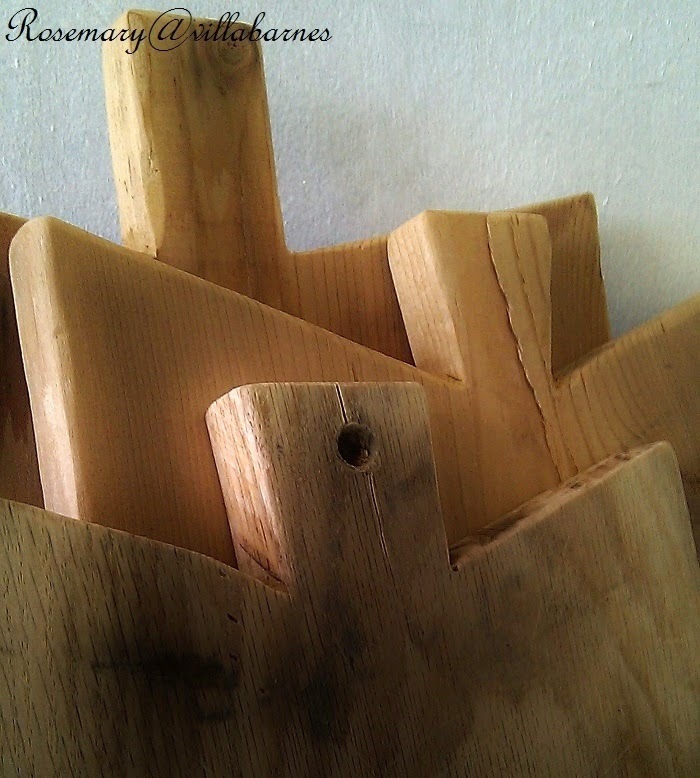 I adore your bread boards, cutting boards, all of them. What patina. Love the bread boards, and I always love seeing your next creation. Glad to hear the weather is improving too. Love what you created, and free handed it all! I just love them!!! I cant wait to see more with those handles!!! Just a question:are you gonna use them? What do you use to protect them and make them food usable?? (I think I just created that combination of words). Will you, perhaps, have any that you make, for sale? I saw your bread boards on Vintage Inspiration and love them. If you plan on selling them, let me know. I would love to by a big one.